x Please enter your e-mail or player name and password. x Please enter your password. Please enter a password that has at least 6 characters. 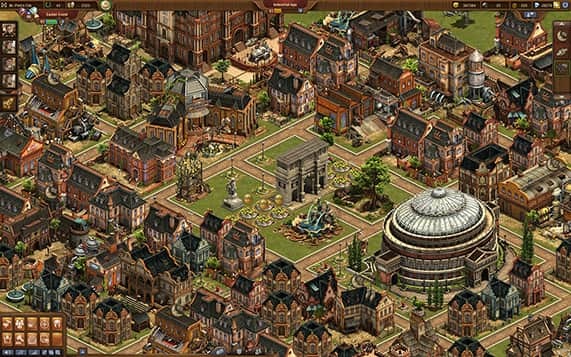 Good strategy online games are what Forge of Empires stands for. As a chieftain who founds his settlement anno 5000 B.C. in the Stone Age with little more than a few tents, it is your task to show your online strategy game skills and develop your city through the ages of history in this browser based empire game. Prove yourself a worthy ruler and lead your reign to glory. Join the best empire building game now by constructing your first settlement in Forge of Empires! 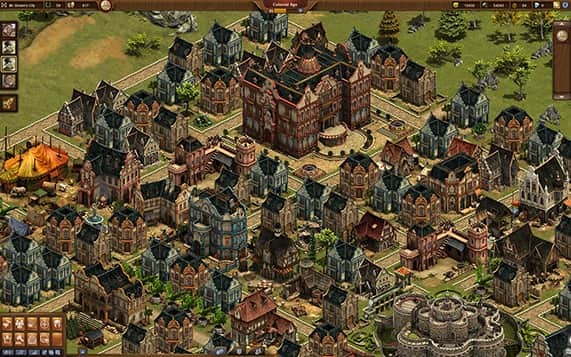 Forge of Empires (FOE) was published in 2012 as the newest strategy online game by InnoGames and has since been one of the most successful browser-based games available. 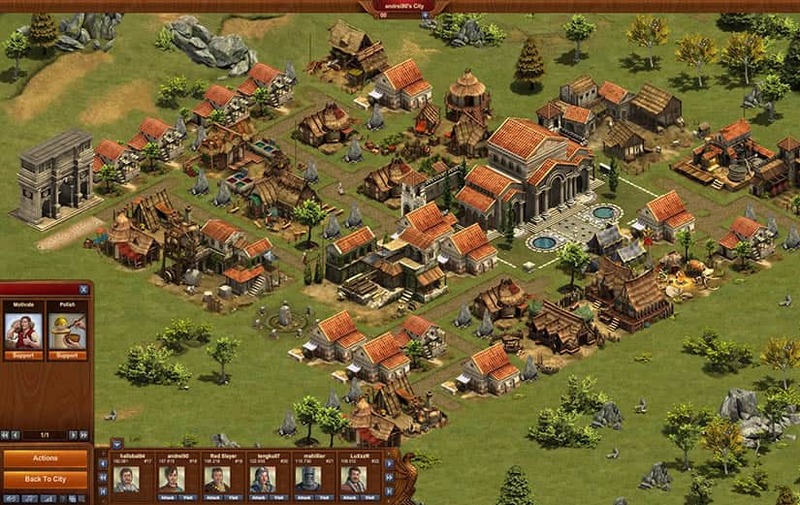 InnoGames, known as a publisher of high quality titles such as the strategy game Tribal Wars and the Greek empire game Grepolis, is combining strategic game-play in an empire builder with excellent visual appeal. 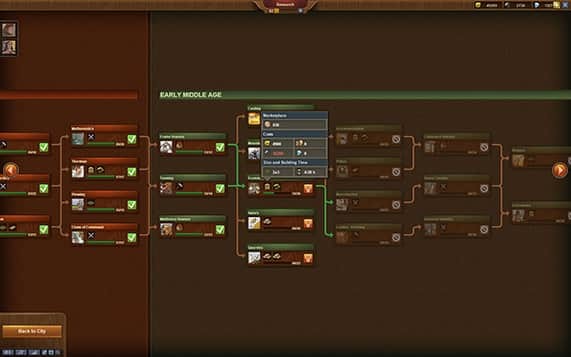 But excellent quality, however, is not the only thing unique about Forge of Empires: like all strategy games by InnoGames, a huge community has developed, bringing players from all over the world together. The newest Forge of Empires (FOE) trailer shows some of the best characteristics of the strategy online game and gives you a feel for the world FOE plays in. Following a few settlers through the ages into medieval times, it depicts the conquest of the world by your thriving realm. Whether you play the strategy game as a peaceful ruler or evil emperor ambushing neighboring settlements is up to you to decide. This majestic online game lets you decide how powerful your Empire will become – play FOE now. In the beginning you settle in the Stone Age with only a few huts. 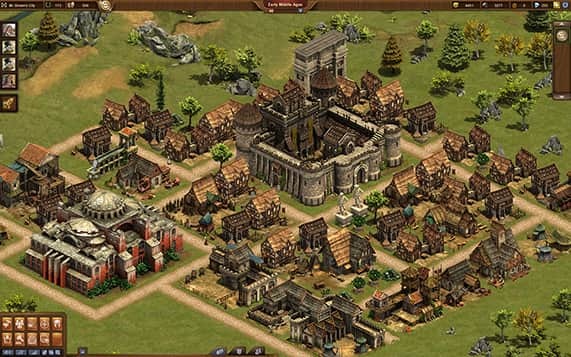 Then, with the right strategy you develop your capital and expand your online empire by conquering nearby provinces. 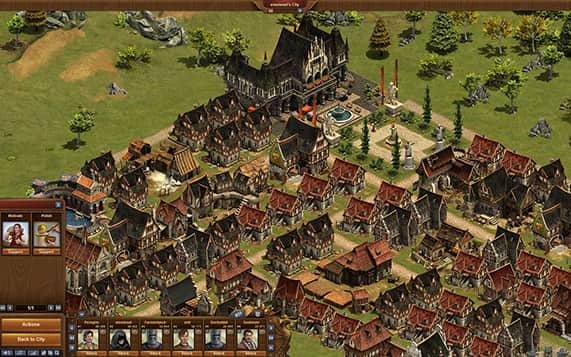 When you log out of this online browser game, your empire and the world around it will continue to produce goods and troops which you can collect to use for your expansion as soon as you come back. 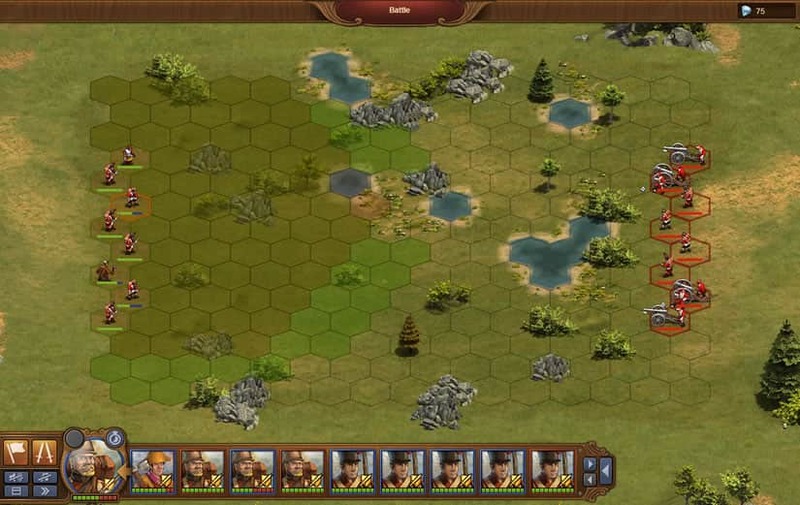 Conflicts are settled on the field of honor and fought as turn-based strategic hexagon battles in which you command your troops right in your browser. 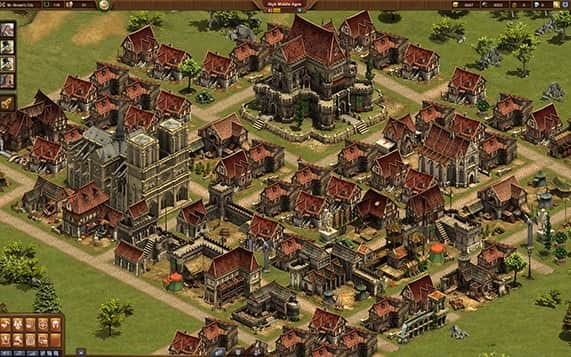 Build your empire with beautiful graphics in the strategy game FOE!